Walk to UF classes and the football stadium! Lovely and unique end-unit condo is not bordered on either side by other neighbors. Upgraded wood floors throughout, and private balcony off of the living room. This newer construction luxury community has an entire building secured entry at night, and a fob or elevator code is required for access into the condo units at all times. Condo is also pre-wired for a security alarm. Upgraded kitchen with granite countertops, under mounted sink and canned lighting. 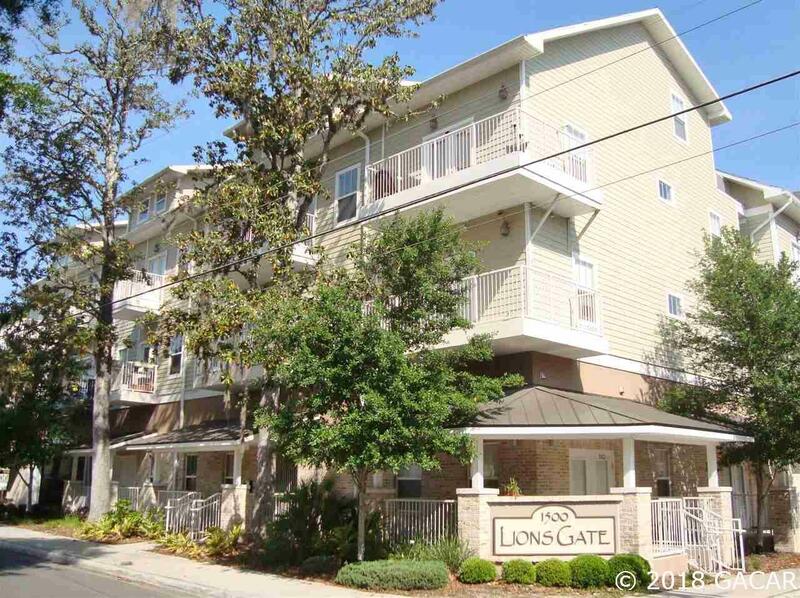 This condo comes with 1 assigned parking space in the gated and covered parking garage.